If you haven't read the blog post I did about why & how Deccie's Done Deal uses Social Media to market our business then I would suggest you read that first before continuing reading this article. 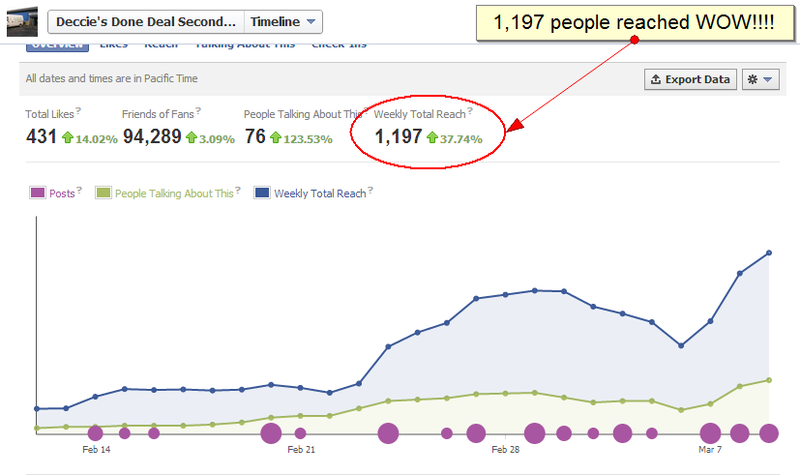 In the last week I have spent a lot of time uploading content to our facebook business page. This is because I have started making the switch to using our business page to upload all our new stock rather than posting it on the group wall. Many people may be wondering why I have taken this decision, so I thought it might be helpful to post the bellow 14 benefits of a facebook business page over a personal profile/group just so people can understand my decision. Now I can track what I'm doing and know that what I'm doing is having the desired effect of increasing our turnover. Which means we will be able to offer better deals in the future. Win Win all-round!!! !